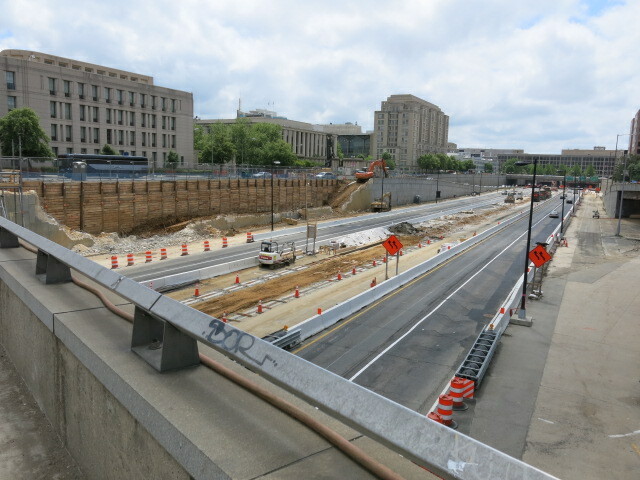 “Today, Mayor Muriel Bowser joined Congresswoman Eleanor Holmes Norton and Property Group Partners to break ground on Capitol Crossing, a $1.3 billion project in Ward 6 that will transform a seven-acre site surrounding the I-395 Center Leg Freeway into a cityscape that will span three blocks and reunite the East End and Capitol Hill communities in the District of Columbia. 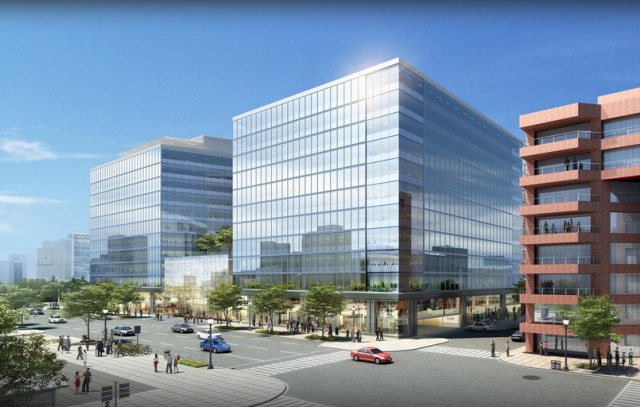 Property Group Partners’ development of Capitol Crossing is the largest private development currently underway in Washington, D.C. Once completed, the development is expected to provide a minimum of 50 affordable housing units at 80% Area Median Income (AMI). During construction, Adas Israel Synagogue will be moved and integrated into the new neighborhood adjacent to a new Jewish Historical Society of Greater Washington Museum. The historic Holy Rosary Church will be fully integrated into the new community, and its rectory will be restored to its original position.